The exterior facade of Avenue Joffre at Resorts World Sentosa may be its stumbling block to what it can really achieve. 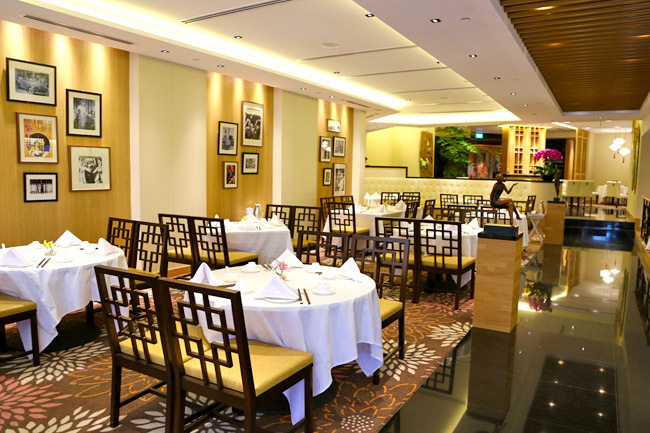 The Chinese restaurant is inspired by the epicurean address of Avenue Joffre 霞飞路 along Shanghai’s French Concession in the 1930s and 1940s, helmed by some top chefs, and has a concept of different Chinese cuisine of Cantonese, Szechuan, and Shanghainese in one place. Sounds promising. Sorry if this offends the designer and branding team, as I would imagine they have several considerations and clients’ expectation to meet. The appearance looks like it is from a movie set of maybe … Mulan? There is this retro Chinese nostalgic colours used that could suggest ‘artificial’, as though it is part of a theme park. An enthusiastic service staff was outside the door inviting us to “来试试 Come in, come in.” (We have already made a reservation by the way.) You know some human tenancies – the moment this is over-done, we start suspecting if this is even legit. Its interior was rather classy (in a Shanghainese sort of way), though there was this musky smell perhaps coming from the furniture or carpets that could be off-putting. We walked in, and “What is that smell?” This considering that the restaurant is already about a few weeks old. 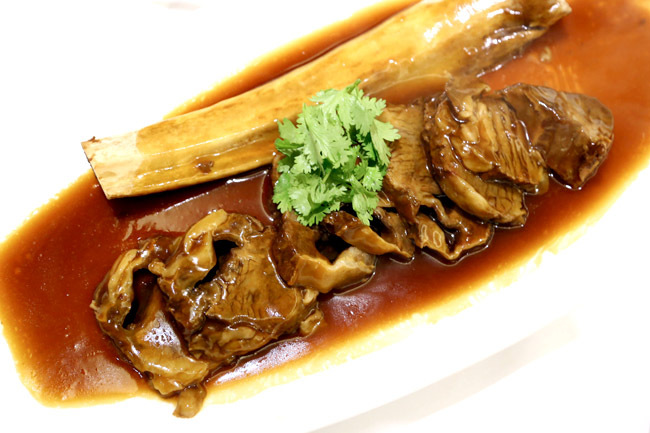 Avenue Joffre aims to serve comfort food from around China, including Zhejiang, Szechuan, Beijing, and Guangdong. 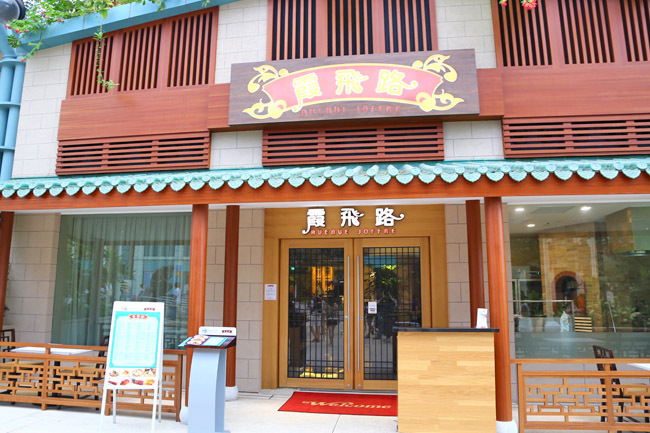 The restaurant is helmed by some of Asia’s top chefs, including Chef Ip Chi Kwong, Master Chef Gu Xiao Rong, Master Chef Zhou Yuan Chang, and Master Chef Ge Xiane. 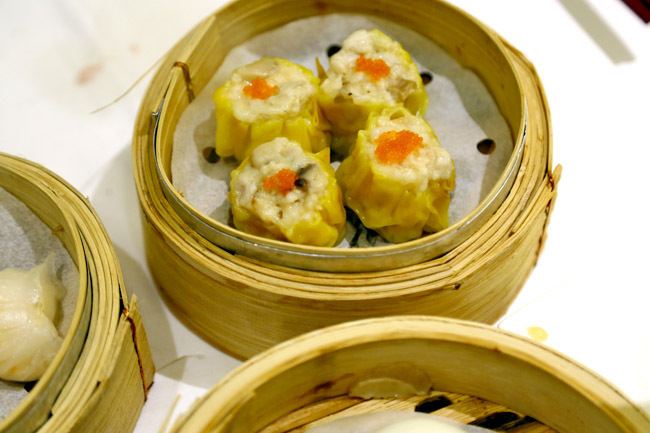 We ordered a few dim sum dishes such as Steamed Crystal Prawn Dumpling ($6), Pork and Mushroom Siew Mai ($5), Steamed Shanghai Pork Dumpling and Steamed Egg Yolk Bun ($5) – better known here as Liu Sha Bao. 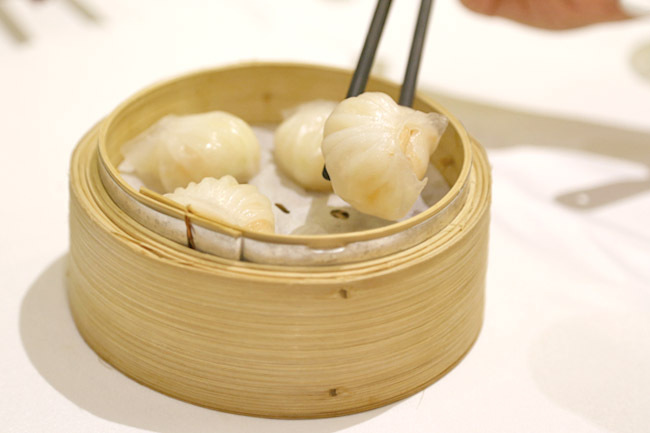 Its taste and delicateness suggest an experienced chef (or chefs) is at work behind the kitchen – fresh savoury ingredients, bite-sized portion with thin skin, suggesting nifty hand-work as we observe the folds. 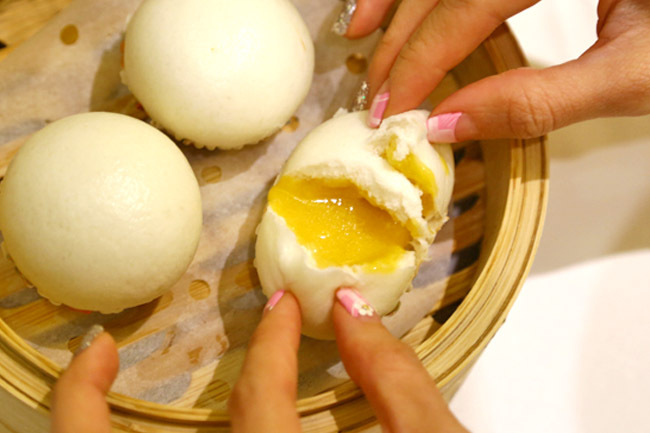 The Liu Sha Bao, in particular though smaller in size than usual, had fluffy exterior and oozy smooth custard fillings. 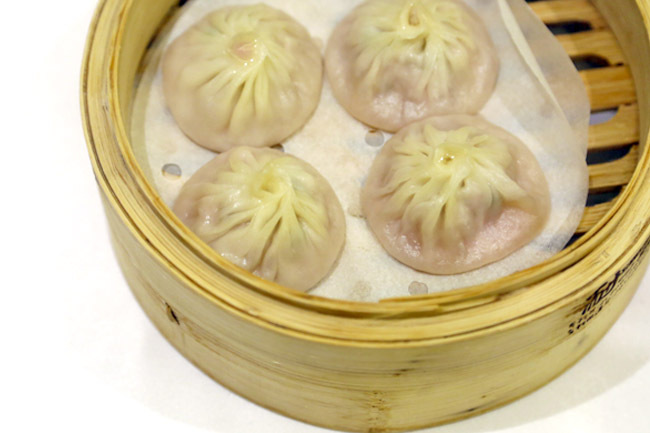 This quality could match the higher-ranged Chinese restaurants in Singapore. The Shuang Ping of 2 Roasted Meat ($25/$38/$50) was half-good. The Roasted Pork Belly (Siu Yuk) was one of the best I eaten in a long time – almost perfect crackling and melt-in-mouth fats. 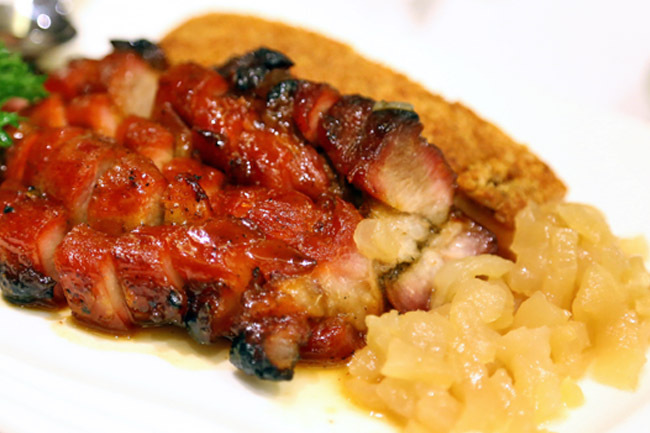 The Honey-glazed Barbecued Pork on the other hand, was on the tougher side. Service was professional and prompt. “Are we the only Chinese in the restaurants?” We couldn’t help noticing that the other 4-5 tables were occupied by Westerners, and wondered if the Chinese or walk-in customers would treat the restaurant seriously, by judging on the outlook alone.